The legal battle of suspended SA Revenue Service (SARS) commissioner Tom Moyane is about to heat up, his attorney, Eric Mabuza, told Fin24 on Wednesday. This was after adv. Azhar Bham SC, chairing the disciplinary committee, rejected objections by Moyane's legal team to his disciplinary inquiry. Bham ruled that Moyane must deliver his substantive response to the charges against him by 20 August 2018. He will thereafter convene a further procedural hearing between the parties to facilitate the hearing of the disciplinary inquiry as soon as possible. 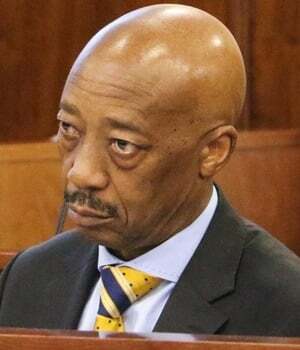 Moyane, who was suspended by President Cyril Ramaphosa on 19 March this year, is being charged with having committed misconduct in violation of his duties and responsibilities as SARS commissioner in terms of the SARS Act, the Public Finance Management Act (PFMA) and the SARS Code of Conduct, as well as his fiduciary duties and duty to act in accordance with the prescripts of the Constitution. The first objection is a complaint against the procedure being prescribed. Moyane contends that the procedure so prescribed is "unlawful, unfair, unconstitutional and manifestly oppressive", because it "automatically excludes oral evidence and/or provides for the leading of any oral evidence only as an exception and subject to the discretion of the chairperson". In essence, it is contended on behalf of Moyane that the leading of oral evidence is a right he should not be deprived of. The second objection relates to the Substantiation Affidavit submitted by current Minister of Public Enterprises and former minister of finance Pravin Gordhan. It was argued on behalf of Moyane that Gordhan is not, in terms of the Constitution or the applicable regulatory framework, "empowered and/or authorised to do so" and that his affidavit is consequently "inadmissible or irrelevant"; that the affidavit is "incomplete, vague and embarrassing" and that it relies on documentation which in the circumstances would "be in his the unlawful possession as he is not the minister of finance. Moyane's third objection is that issues arising in the disciplinary proceedings are at the core of the separate and on-going Commission of Inquiry into Tax Administration and Governance by SARS, chaired by Nugent. Moyane's complaint is that it is unfair to subject him to two separate and parallel processes concerning the same subject matter. Bham dismissed all three objections. Mabuza said "this fight is about to begin. In the end justice will prevail. The arm of the law is very long". He said Moyane's legal team believes Bham's ruling is wrong. However, in their view, there is nothing they can do until President Cyril Ramaphosa has considered both the ruling by Bham as well as that of retired judge Robert Nugent alongside Moyane's objections. Early in July this year, Nugent ruled that the SARS commission of inquiry will not stop. This was after lawyers for Moyane asked it be put on hold pending his then upcoming disciplinary inquiry. Mabuza reiterated that, if Team Moyane is not happy with the outcome, they will "be off to court". "We have started drafting on the assumption that the President will accept both rulings, but we cannot go to court prematurely," said Mabuza. "Unlike in the case of Nugent where we were not surprised, this time we are extremely surprised given what transpired at the hearing." "The position of Commissioner of SARS is an important position. Stability of and confidence in the office of the commissioner is axiomatically of great significance to the functioning of our society," Bham said in his decision. "The charges levelled against the Commissioner in the present case are serious. They include allegations of gross mishandling of a financial intelligence centre report, unauthorised bonus payments, the misleading of Parliament and deliberately instructing a SARS official not to co-operate with an investigation relating to certain aspects of SARS." Moyane is yet to deal with and respond in detail to the allegations contained in the affidavit by Gordhan. Bham dismissed the first objection on the basis that the challenge should be directed to Ramaphosa, who initiated the proceedings. Bham is also of the view that Moyane is not deprived of oral evidence and cross-examination in relation to facts to which the President may be put to the proof of, or which may be disputed. Bham dismissed the second objection also on the grounds that the President instituted the present proceedings. "He (the president) thereafter chose to place his written submissions before me in the form of an affidavit deposed to by Mr Gordhan. Mr Gordhan deposes to that affidavit as a witness (supported by confirmatory affidavits)," states Bham. "None of those charges [by Ramaphosa] relate to the 'alleged loss of confidence in the Commissioner by the president'. The president's 'alleged loss of confidence' is not an issue before me, nor can it be read into any of the charges." He found that Gordhan relies on "factual matters, confirmatory affidavits, copies of documents he has seen and documents which he says were once within his custody and "under my custody and control". "Does this, having regard to the totality of the Substantiation Affidavit, render the affidavit inadmissible? In my view it does not," states Bham. In rejecting Moyane's third objection, Bham says the crux of the objection is that it is inherently unfair for Moyane to be subjected to having to deal with the same matters before both the SARS Commission and the present disciplinary proceedings for various reasons. "As things stand at present, it appears to me that matters identified in the Charge Sheet would fall under the wide terms of reference of the SARS Commission," says Bham. "My primary difficulty with this ground of objection though lies in the fact that the president instituted the present disciplinary proceedings and in so doing framed the Charge Sheet and the Terms of Reference. The president had the power to do so and if there is any challenge to the content of either the Charge Sheet or the Terms of Reference, that challenge is to be directed to the President."